Gulfshore Insurance is a privately held independent insurance agency based in Naples, Florida. 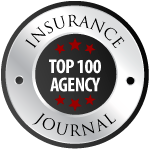 Founded in 1970, the agency provides professional risk management and insurance coverage to businesses and individuals. Gulfshore Insurance combines the best characteristics of local agencies with the expertise of national brokers. Their associates in Naples, Fort Lauderdale, Fort Myers, and Sarasota advise more than 10,000 clients throughout the state. To learn more, please visit www.GulfshoreInsurance.com.